Our Rewards cardholders are in for quite a ride as we welcome 2019 here at Mykonos! 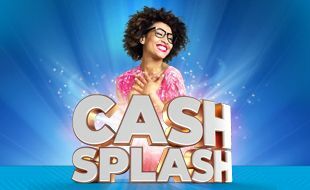 You stand the chance to win a share of over R210,000 in cash in our Cash Splash promotion, which runs from 7 January to 31 March 2019. For your chance to make a splash and win big at the start of the new year, make sure you play Slots and Tables with your Rewards card! The more you play, the more tickets you earn and the bigger your chance of winning! Only Mykonos Casino cardholders can participate in the promotion. Participants earn points to get draw tickets by playing Slots and/or Tables. Points earning starts on 7 January and ends on 31 March 2019. The surplus amount not won from 19 January will carry over to the final draw on 30 March 2019. The surplus amount not won from 19 January 2019 will carry over to the final draw on 30 March 2019. The surplus amount not won from 20 January will carry over to the final draw on 31 March 2019. The final draws for Gold Cardholders will take place on 30 March 2019 at 18h00 and 20h00. Three winners will be selected at each draw time and have the opportunity to choose one of the six boxes displayed on the casino stage with hidden cash amounts. The final draws for Platinum Cardholders will take place on 30 March 2019 at 19h00 and 20h00. Three winners will be selected at each draw time and have the opportunity to choose one of the six boxes displayed on the casino stage with hidden cash amounts. The final draws for Black Cardholders will take place on 31 March 2019 at 19h00 and 20h00. Three winners will be selected at each draw time and have the opportunity to choose one of the six boxes displayed on the casino stage with hidden cash amounts. Participants will have to keep their ticket receipt to claim their prize. Winners will be selected via the e-host software (draw selector). Positive identification and verification stub are required for the verification process. Gold cardholder entry criteria – 1 ticket for every 100 points earned. Platinum cardholder entry criteria – 1 ticket for every 250 points earned. Black cardholder entry criteria – 1 ticket for every 500 points earned. Participants are entitled to only one prize per draw evening. A re-draw will take place if a prize winner previously won a prize during the same draw night.